A government that came to power by denouncing “the old” political system is now being fueled by former members of that “old” system. Hostage to intra-party balances and a skewed perception of the meaning of renewal, the prime minister enhanced his government with the scraps of opposition parties. It appears oxymoronic for a government that invests in polarisation – as the PM’s speech in Ithaca on the bailout exit confirmed – to regroup in a direction that transcends the narrow limits of its party. 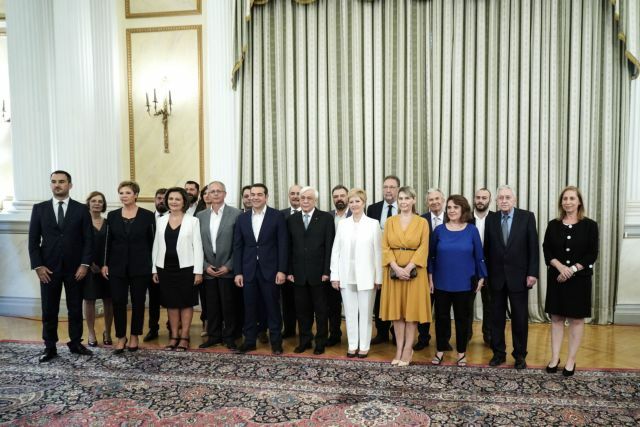 It appears self-contradictory but it is not, because the government was reorganised in the cabinet reshuffle with the same materials that were used to establish it – politicians aligned with the Independent Greeks party and others, who in order to advance their career, abandoned Pasok when they saw the SYRIZA bandwagon driving forward. The cabinet picks were not surprising, yet the contradiction remains. The government, which vehemently denounced the politics of “yesterday”, is identifying itself, more than any other party, with yesterday’s tactics. A government that preached “the new” was from the start unable to renew itself. From that perspective, the cabinet reshuffle was not merely a failure, but also deleterious to those who conceived it. It is an example of what not to do, of something that could have served as a highly valuable communications tool when the PM delivers his major address and holds his annual news conference at the Thessaloniki International Fair. Instead, it turned out to be fool’s gold.